This game heralded the league debut as managers of both Ayr United’s Mark Roberts and Stenhousemuir’s Martyn Corrigan and in the end both will have been pleased with certain parts of their club’s respective performances. The Warriors got off to a nervous start to the game and could have been punished for the basic errors that were being made. Callum Reidford in particular had a difficult start miskicking the ball out of play and fumbling the ball for a corner in the first minute of the game. This was followed by Iain Thomson allowingthe ball to drift across goal but luckily Ross McMillan was able to clear before Anthony Marenghi pounced. Ayr were being handed the initiative and they almost took advantage in the 8th minute when Mark Shankland shot just wide of the target with Reidford stranded. Eventually Stenhousemuir eventually made positive inroads with a strong Sean Dickson run and cross that Martyn Campbell scrambled out for a corner. It was taken by Bryan Hodge and landed at Darren Smith but he took a fresh air swipe and the opportunity disappeared. Smith then had a glancing header go wide in the 12th minute. Ayr though took the lead in the 18th minute when David Winters used his pace to get behind Ross McMillan and place the ball past Reidford who was stranded in no mans land. Campbell came to Ayr’s rescue once again on the half hour with a well timed tackle to deny Stewart Kean after he had been played through by Andy Rodgers. At the other end Marenghi saw a free kick tipped over the bar by a less than confident looking Reidford. Despite David Sinclair clearing a Rodgers effort following a short corner off the line there was to be no further scoring and Ayr would certainly have been the happier going into the half time interval. The second half started in a much more positive fashion for Stenhousemuir and they almost equalised in the 51st minute. First of all Smith saw a header superbly saved by ex-Warrior Ally Brown and from the resultant Rodger’s corner Stewart Kean struck the crossbar. Brown had been the hero for the home side with that save but two minutes later he was almost the villain when a poor free kick was intercepted by Sean Dickson but his chip shot drifted just wide. Stenhousemuir lifted by these early exchanges began to take control of the game and Dickson saw another effort dip just over the bar. Dickson was then denied by another top class save by Brown who was on top form with his shot stopping. Ayr were only having the odd creative spell but Reidford was called into action to save from Michael Moffat in the 74th minute. Most of the chances were being created at the other end though and Stenhousemuir really should have equalised in the 80th minute when Stewart Kean found himself in acres of room but although he got his effort on target and was only denied by another top drawer save by Brown it was really a chance that should have been taken. With the game going into the 4th minute of added time the Warriors got their reward for a spirited performance when Ayr folded under pressure and Ross McMillan headed home from close range. It is ironic that it was the Ayr managers tactics that saw them drop points as the added time came about after he insisted that one of the Ayr players went down for treatment to slow the game down after the Ayr player had indicated to the referee that he was fine to continue. It would have been an injustice if Stenhousemuir had failed to get at least a point after their second half performance and although they might have got all three the fact that they scored with the last touch of the ball means that they cannot be too disappointed with a share of the spoils. 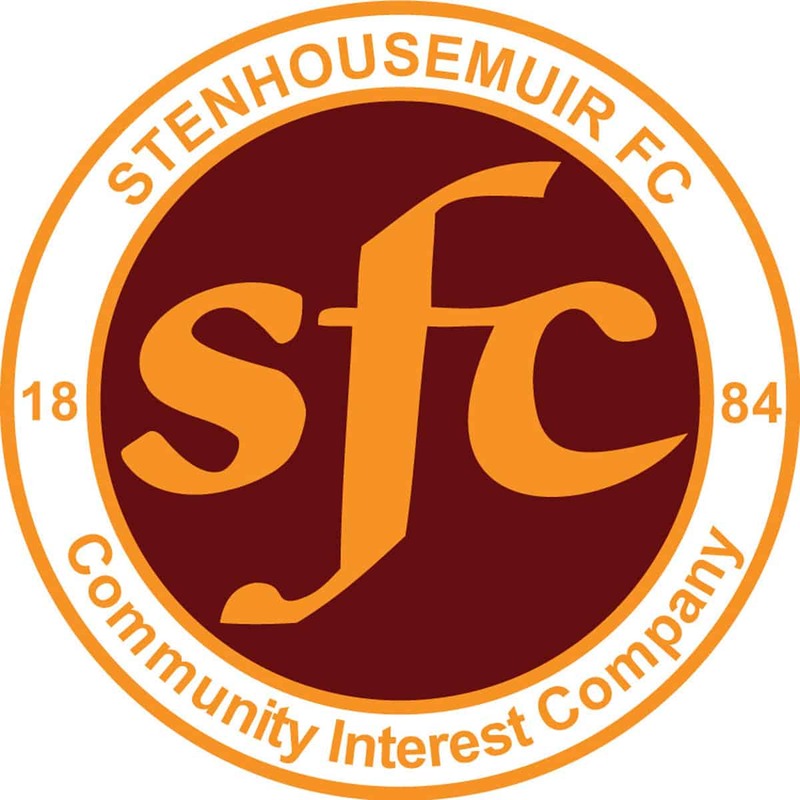 Stenhousemuir – Reidford, Ross, McKinlay, Thomson, McMillan, Hodge, Smith [b32], Rodgers [ Brash 74], Kean, C.Anderson [b59] and Dickson. Subs not used – Lawson, K.Anderson, Love and Shaw.